Ikea and Saab, that belongs together. In blessed Saab 900 times you could admire a Swedish car in the Swedish furniture store. Long gone, but the attraction remains. In Rostock, an 9-5 with the famous 3 liter diesel drove into the Ikea branch. Not quite planned ... probably more collateral damage during a driving exercise in the parking lot in front of the furniture store. The message could not only at the NDR see, it spread in the German-speaking world. 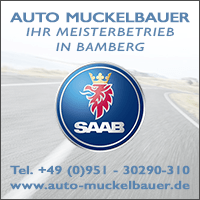 Saab advertising - another way. And another proof that the Saab community works well. Nearly a dozen readers pointed to the topic, from the coast to Switzerland. 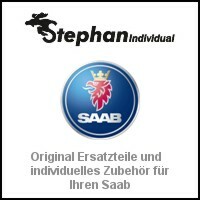 Thanks for that, the Saab in the furniture store has now made it to the blog. Saab, that's really an issue. Still, the Swedish trolls are immortal. Proof of this is provided by the Ruhr University Bochum. In the Auto Involvement Index, it annually captures the car owners' affection for their vehicle through social media. Over the years, the work of the researchers has become a recognized measure of the sensitivities of the clientele and must be taken seriously. 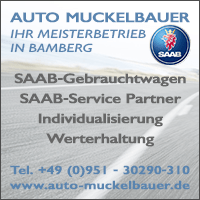 In the 2018er index, exclusively in the Wirtschaftswoche Saab ranked 9 by 15 places. That's pretty amazing, as we are facing such emotional brands as Porsche or Alfa Romeo who are still building cars. In the marketing departments of some manufacturers, they will probably think about what this is. 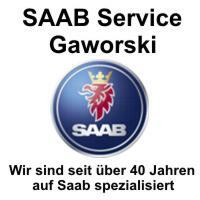 The Saab factor - hard to explain. Christmas approaches us spontaneously! It's time to look for small gifts. It looks, admittedly, not so good. But there are a few small ideas. 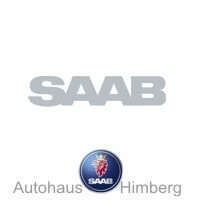 There are the popular Saab calendars for next year. A beautiful calendar, high quality and according to the brand, has Heuschmid launched. The price corresponds to what you have to pay for calendars in appropriate presentation, if the circulation is small. Alternatively you could go to the Saab calendar of Saab Service Frankfurt waiting. The debut 2018 was impressively well made and very tasteful. The calendars are not finished yet, I'm waiting impatiently for news. 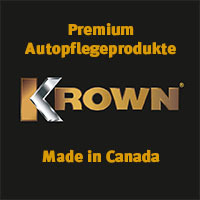 If this comes, then I will immediately move the Saab in the direction of Frankfurt and secure a few copies. 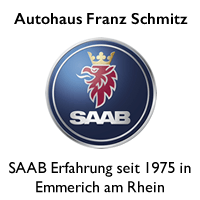 In addition, I discovered nice, small plush moose on the website of Saab Service Frankfurt. 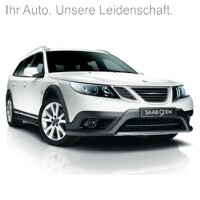 Other gift ideas for Saab drivers has Skandix at the shop. The shop is a bit Volvo lastig, but you can live with it. 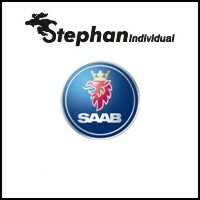 Especially the cool ones stand out Saab caps from Svenska Saabklubben and quite well done Saab jackets out. 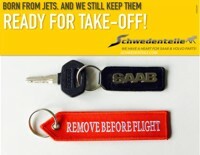 In addition, there are many Swedish-themed little things, a good selection for Saab fans. Finally, there remains the question of what ours Blog fundraiser makes? Tomorrow we will announce the first results, and of course we look forward to any further support in the meantime! 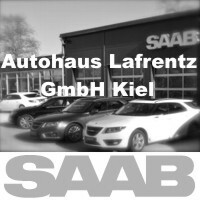 8 thoughts too "Christmas ideas and a Saab in the furniture store"
All a nice holiday season! My first (DNA) Aero-X and thus my (upcoming) Christmas present I was allowed to pick up today at the customs, which was also very curious about the content, "1 / 18 scale model car" was already on the shipping ticket. Allen also a quiet and beautiful pre-Christmas time! ... so that the beautiful car does not have to be detained. I think the SAAB is to blame and that it was full of purpose. Motive homesick. The club may sell for tax reasons only to its members. 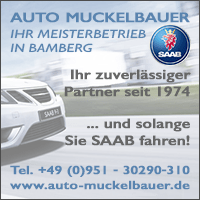 Here is a link for a Christmas movie with SAAB "extras" I found yesterday while browsing YouTube: Christmas 2117 ", an EDEKA Christmas spot. Would not it be great if our SAAB's lasted so long? 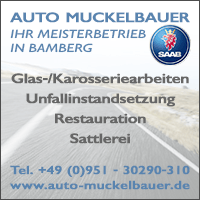 All SAABists have a nice pre-Christmas time! I had to look at him twice and I'll click him a third time. Many thanks for that and a nice pre-Christmas time! What a cute and touching spot! How do you find something like that in the vastness of YouTube? In any case, thank you very much! 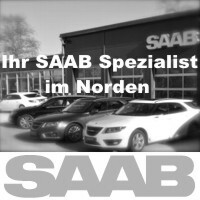 Saab were and are (!) Just cars with hearts, where the owners hang with all their hearts. 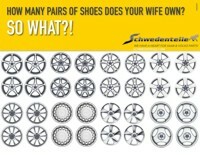 They therefore fit perfectly with the message of the spot!